Print the attached pages. Have the children cut the pages of the book out and assemble them. Staple or bind the pages. 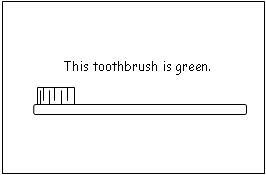 Have the children color the tooth brush handles the corresponding color. Have them color the last toothbrush however they choose.